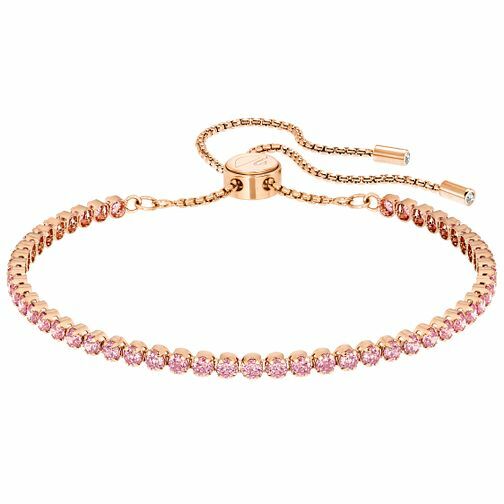 Boasting a feminine combination of rose gold plating and pink stones, this simple yet highly elegant bracelet will inject a touch of colour into any look. It is finished with an innovative sliding ball closure for a made-for-you fit. Swarovski Subtle Rose Gold Plated Bracelet is rated 5.0 out of 5 by 1.